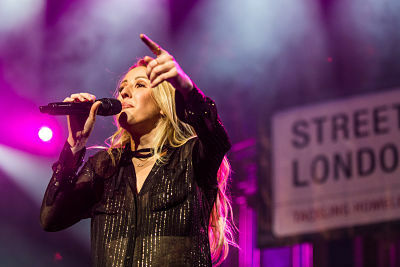 Ellie Goulding headlined an amazing Streets of London fundraising show at London's iconic Royal Albert Hall on 21st November 2016. 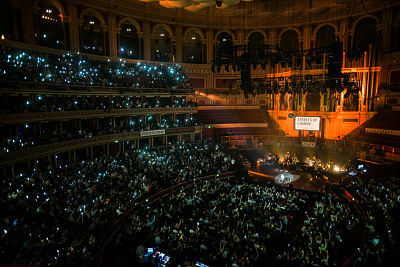 Featuring surprise guest appearances from Jack Garratt, Laura Mvula and Gabrielle Aplin, ahead of a headline performance from Streets of London ambassador Ellie, it was a very special evening, and raised more than £100,000 for our work tackling homelessness in the capital. Poet/campaigner Hussain Manawer (who is due to go into space in 2018) opened the sold-out show with a powerful contemporary poem called ‘Streets of London’, to raise awareness about the issue. “I am so thrilled to headline a Streets of London fundraising show for the third year in a row. My passion to tackle homelessness continues to drive me and I feel so strongly that we CAN effect a change for the better. We have a responsibility to help create a more compassionate world for people whose lives have taken a bad turn and who, for whatever reason, find themselves on the streets. Tragically, rough sleeping is still on the rise. The number of people sleeping rough in London has more than doubled in the last five years (increased by 104%) and nearly trebled in the last ten years (increased by 188%), with an increase every single year. It’s a serious crisis, and it keeps getting worse. On average, people who are homeless have a life expectancy of about 47 and suffer mentally and physically more than we will ever know. In the last year Streets of London has provided more than £80,000 in funding to homelessness projects across the capital. Projects include a night centre for the most vulnerable rough sleepers, specialist mental health support, a rehabilitation hostel for people recovering from addictions, immigration support, English tuition, specialist employment support for homeless women and several catering and gardening training programmes. If, like me, you believe that everyone should have a fair chance at life then join me in helping to tackle homelessness. Streets of London ensure that homeless people - who have often experienced complex trauma and may present with multiple needs - receive the on-going, personalised support they need to make a fresh start and leave homelessness behind for good. 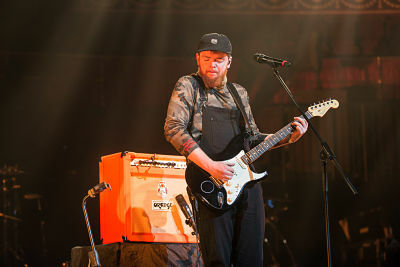 Click HERE for a few photos from the show. All photographs thanks to Si Brandon Photography.